How do you know if your plant is designed to deliver the target level of productivity? For many organizations, their answer is “we don’t know.” New capital projects are typically designed with the main goals of achieving the lowest possible capital outlay for plant and equipment while maintaining the plant’s ability to meet productivity targets. Too often; however, minimizing costs ultimately garners most of the focus in the design phase and as a result plants are handed over to operations teams that simply aren’t designed for reliability. Then the consequences start to appear – High number of failures and breakdowns, no way to achieve better performance from equipment short of a redesign, maintenance costs too high for the plant to be sustainable for the long term. 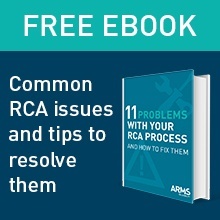 To combat this, world-leading organizations are starting to require that a RAMS Analysis (Reliability, Availability, Maintenance, and Safety Analysis) be completed at each project stage. These studies serve as checkpoints with scenario modeling that provides various options to the project team as to how they can meet the business goals of the project at the lowest possible cost. Sophisticated organizations are also incorporating peer reviews to challenge the plant designs and Lifecycle Cost Analysis to evaluate the project over a longer period to predict costs, so they can plan and budget accordingly. 2008 – Developed Reliability Block Diagram (RBD) model to validate the design capacity and allow for potential bottlenecks to be understood. Identified that there was a baghouse in the design that could not be isolated and required a complete plant shutdown to perform any maintenance. Also predicted maintenance budget and labor requirements to understand the maintenance intensive items in the design. Identified multi-million dollar per day single point failure that was addressed in revised re-design that allowed maintenance on baghouse to be completed without plant shutdown. 2010 – Revised RBD to accommodate some design changes and to validate that the capacity could still be achieved. 2014 – Revised RBD to accommodate further design changes as project team was challenged to reduce capital cost and increase construction speed. RAM/RBD proved capacity could still be met. Team was challenged to reduce equipment capital by $30M yet keep capacity. Marginal capacity increase resulted and $30M reduction. 2016 – Revised RBD as more detailed information became available and as further changes were made. Headquarters rubber-stamped project to proceed. 2017 – Estimate for maintenance build from EPC was 120,000+ man hours. 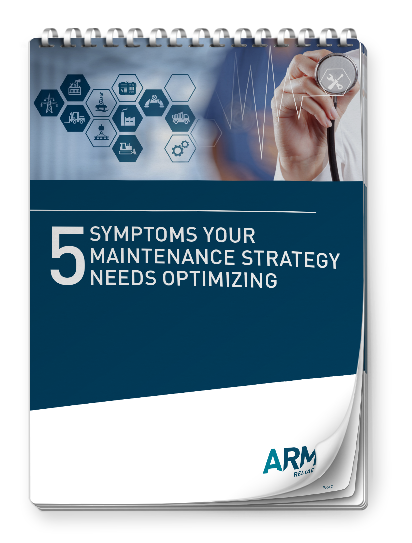 Using ARMS’ libraries, past company models/FMEA’s, and an equipment class strategy approach, we estimate it can take around half of that time and investment to produce maintenance strategies that will help ensure the predicted availability is realized. All through the process the mining giant found that the RBD was an essential tool for them when undergoing peer reviews at each project gate. It was used to confidently assure the board that the capacity targets could be met and that they had a solid foundation on which the budget and resource forecasts were made. Join us at the Reliability Summit, March 26-29, 2019 in Austin, Texas to learn in-depth best-practices for designing for reliability. This workshop will cover the benefits of designing for reliability and what that process should look like to ensure a sustainable, successful plant is handed over to Operations. This is one of many workshops attendees can select to attend at the Reliability Summit. For a full list of workshops, please visit our Reliability Summit 2019 website.